Get your letters ready for Santa. Deadline is December 21st. Have your child write their letter and place in Santa Box. Include childs name and address so Santa can write a letter back to your child. 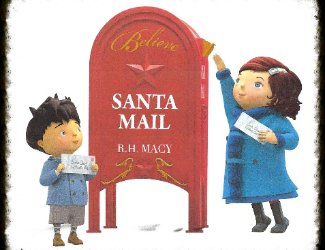 Santa mailbox will be ready for your child's letter to Santa starting December 1 and run through December 21st. Mailbox will be located at Burkey Park.